Robbins, Jr., Walter H., 84, previously of Pewee Valley, passed away on Saturday, March 30. He was born and raised in Memphis, TN where he attended the University of Memphis and was a member of the Sigma Phi Epsilon fraternity. In 1956, he accepted a permanent position with Ford Motor Co in Materials Handling at the Fern Valley Plant. During that time, he completed his bachelor’s degree at the University of Louisville. In 1969, he transferred to the Ford Kentucky Truck Plant in Material Control where he served the remainder of his 40 year career. He was preceded in death by his wife of 58 years, Doris Ann (Derryberry). Together they raised three daughters and developed lifelong friendships with several other Ford families. He enjoyed participating in several recreational sports leagues, his Ford Mustangs, and loved playing cards and golf with his buddies. 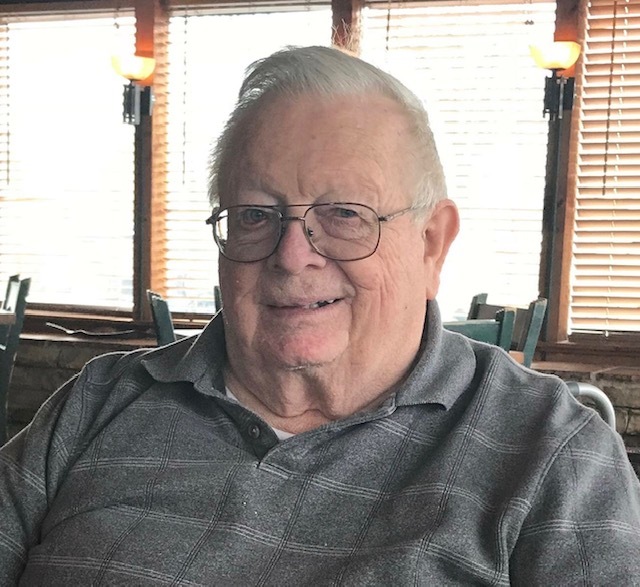 He was a former member of the Oldham Co Country Club, Crestwood United Methodist Church and served in the U.S. Army Reserves during the 1960s. Upon retirement, he became active in the Ford retirees club and the self-proclaimed Senile Sixteen golf group. He and his wife also enjoyed traveling to many parts of the country. Walter is survived by his daughters, Catherine (David) Rohe, Carole (Kent) Powell, and Cristen (Paul) Ohlin. Six grandchildren, Aaron (Krista) Rohe, Emma Rohe, Ryan (Bree Walker) Powell, Alison (Joseph) Schult, Megan and Ashley Ohlin and four great grandchildren. Also a sister, Betty (Robbins) Sundmaker of New Orleans, two nephews, and brothers- and sisters-in-law. Special thanks to the staff at Forest Springs Health Campus for their care and compassion over the past four years.